A sumptuous, smooth Merlot with notes of cherry, plum and dark chocolate. This is the ideal wine to serve with tomato based pasta sauces. 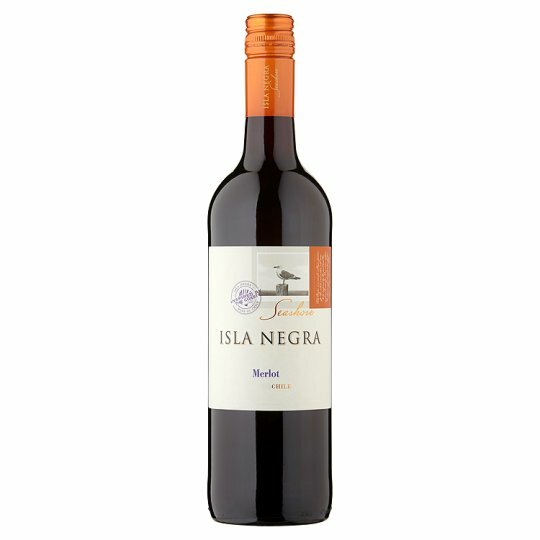 A sumptuous, smooth Merlot with notes of cherry, plum and dark chocolate. This is the ideal wine to serve with tomato based dishes; try a lasagne or pizza for a perfect match. Our wines are inspired by the pretty Chilean seaside village of Isla Negra; its colourful landscape, creative community, and breathtaking views of the ocean. This is a place filled with romance, creativity and adventure. Who doesn't dream of days spent on the coast? Discovering a hidden cove and watching the sun go down with loved ones. Taking a boat trip across the ocean and making memories to last a lifetime. Foraging for shellfish and cooking delicious, fresh meals for your friends.